Large Wall Clock for Lounge. Handmade and beautifully hand painted. Just look at this extraordinary handmade wooden wall clock and imagine it as a statement piece of art in your lounge. It is a stunning variation of the original “Old Clipper” design that we made according to specific customer requirements. We are sure you agree that it can be the most beautiful focal point in your house. 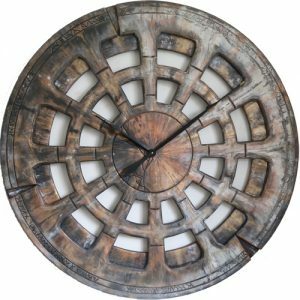 Although the original project was 40″ diameter, as usual we offer three different sizes that you can select from the drop down list. 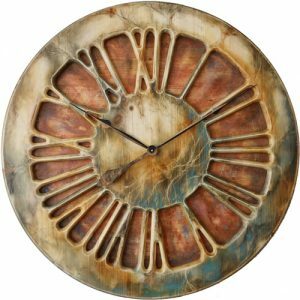 One of the things that makes Peak Art stand out from the crowd is our ability to customize our clocks to your requirements. 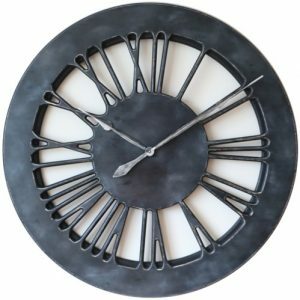 This beautiful wall clock for lounge or kitchen area is a classic example proving we can do this. 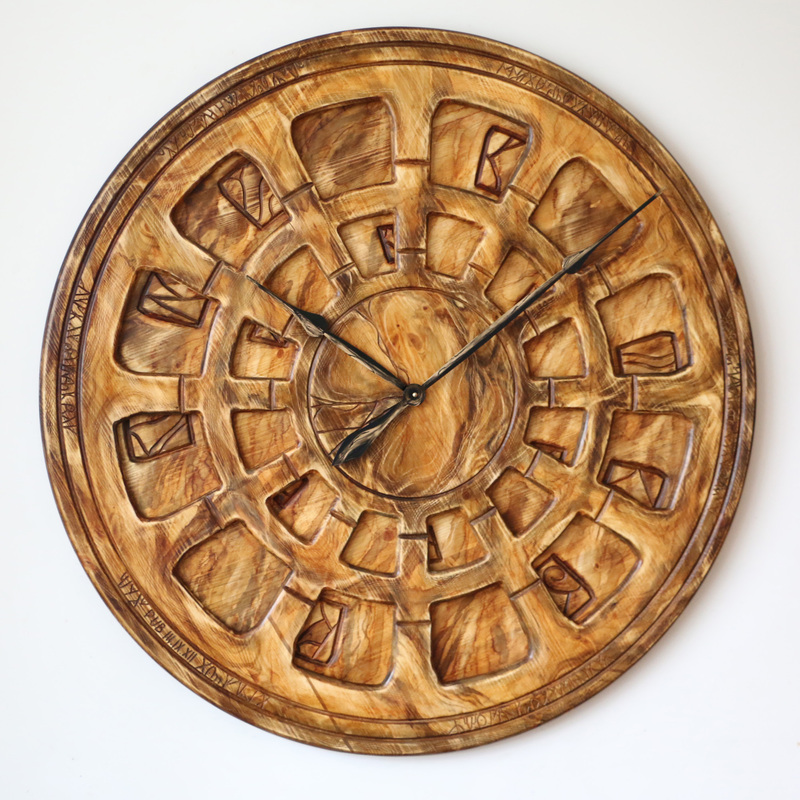 One of our customers was really interested in large designer wall clock that we called “Old Clipper”. She sent us some photographs of her kitchen and we agreed that we need to make some adjustments to the original design. This is how “Old Clipper Honey” was born. It took couple of attempts to get to this final stage. As you can see on the photographs it is very similar to the original design. At the same time it has more artistic wooden look and generally lighter brown colors. If you look closer or from a different angle you can also see some yellow and orange tones coming out in few places. This is exactly the look we wanted to achieve and it works great in darker interiors. 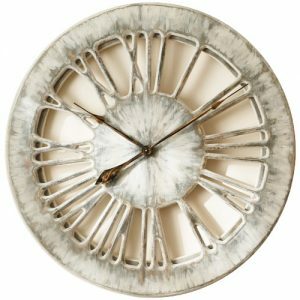 Like all other wall clocks from our online store, this remarkable timepiece requires a single C-Cell battery to operate. If you plan to place it in your lounge just make sure it isn’t very close to any direct heat or moisture sources. 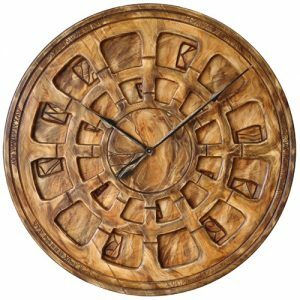 Exposing any of our clocks to excessive heat or moisture could reduce the lifetime of the mechanism and let the wood dry. 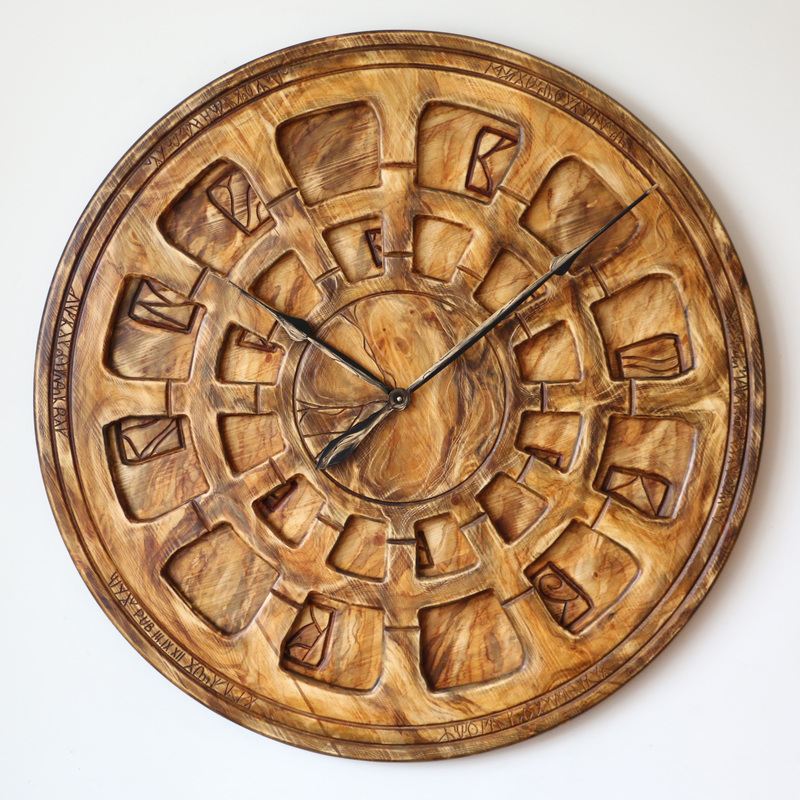 The idea of using the wall clock as a statement piece of art in you home isn’t new. 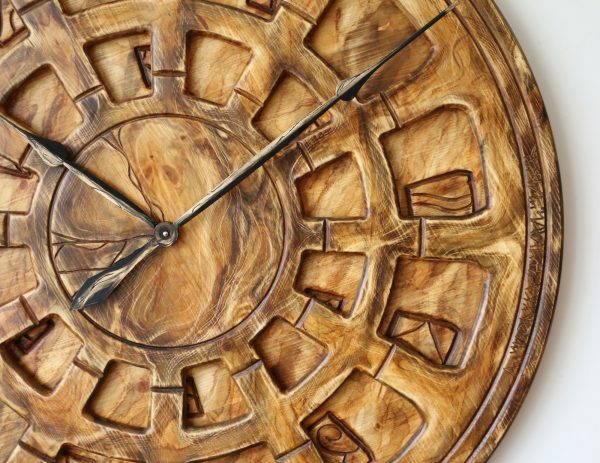 Our clocks take this concept to a new level. 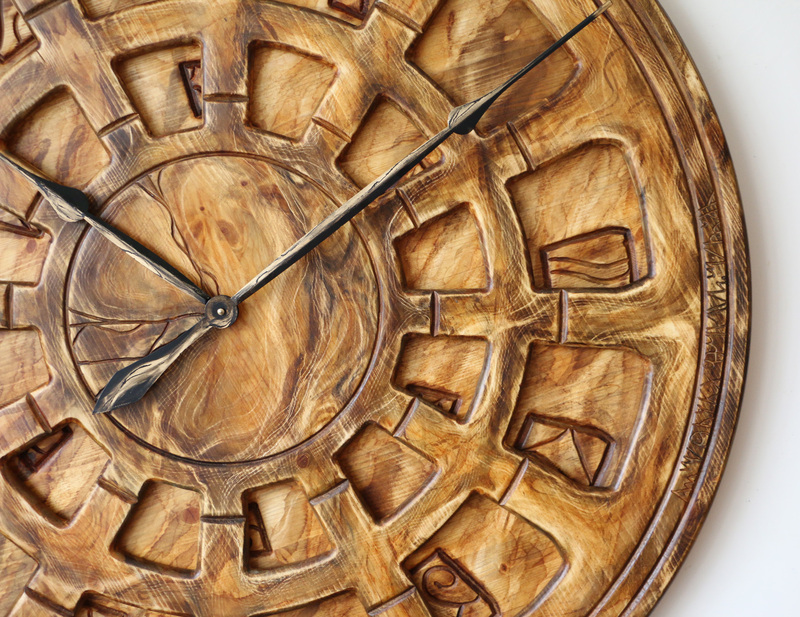 Each beautiful timepiece shows amazing craftsmanship and can be the focal point in your house. This is why customers around the World come to us if they need something really extraordinary. The wall clock for your lounge doesn’t have to be ready-made like mass market usual offers. You can now buy something that we tailor to your requirements. 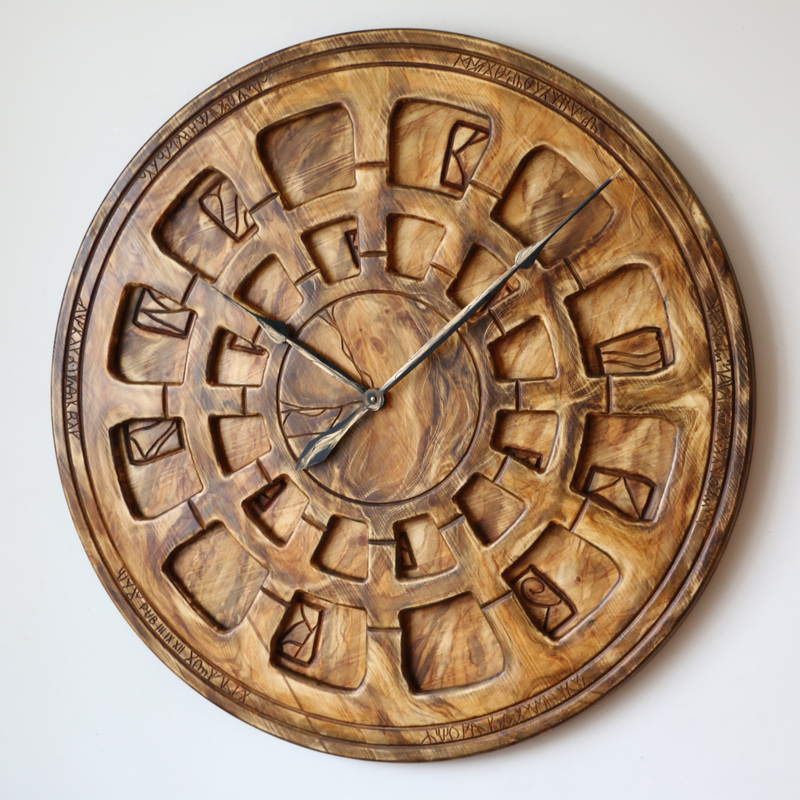 We can ship our clocks to over 30 different locations and we have built international community on Facebook. Please join us there and share your views with thousands of our followers.